There are 78 Pediatric Nurse Practitioner programs in our directory. Pediatric nursing specializes in the care of children specifically. There are no required specialty courses or clinics to take in order to become a pediatric nurse. However, this profession requires that candidates graduate with a minimum of a bachelor's degree in nursing and be registered to practice within their respective state. Many nurses looking to work in pediatrics are looking to advanced degrees, such as a Family Nurse Practitioner program. The extra knowledge gained as an FNP can help create different career paths and options. There are a number of online Family Nurse Practitioner programs that have a focus track on Pediatrics. See the below list for different options. Pediatric nurses are directly responsible for the care of infants, young children, and adolescents. In a clinical setting, pediatric nurses communicate effectively with children as well as their families to provide for a caring and understanding environment. According to the BLS, pediatric nurses earn $66,640 per year (source). 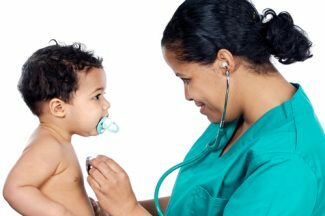 What is a Pediatric Nurse Practitioner degree? The Pediatric Nurse Practitioner degree program begins after the bachelor’s level. After obtaining a BSN and having some experience working in the pediatric realm of care, graduates can locate and enroll in an online master’s program suited for nurse practitioners. At with most other degree options, nurse practitioner programs have the option of pursuing particular specializations alongside the main degree. Master’s level programs such as the Pediatric Nurse Practitioner (PNP) MSN Primary Care and the MSN-PNP Acute Care are some of the more popular options for interested students. These programs envelop some of the more important aspects of advanced nursing, such as primary care services, diagnostics, and medicinal treatments. Since this degree program can result in your ability to diagnose and treat illness and disease through pharmaceutical interventions, the curriculum focuses heavily on these aspects during your experience. These degree programs are especially innovative in comparison to other master’s level programs. If you are currently working in the field of nursing, you can take advantage of these convenient online programs in an effort to find more effective methods for treating children, in both a primary and acute setting. Pursuing a career in a higher degree field, such as becoming a nurse practitioner, can add up to better income and more job opportunities for your future. If you seek a career field that puts you in touch with the most vulnerable of citizens, becoming a pediatric nurse practitioner is an excellent option for you. In this field, professionals may find the environment to be one of unbelievable satisfaction. Degree programs offering this major can be found at a large quantity of online universities throughout the country. Through research and this guide, you should be able to have a better idea of what to expect throughout your journey to higher nursing possibilities. Depending on whether you choose primary or acute care for your major, the courses may have a different scope or focus throughout your program. As an advanced level of practice, pediatric nurse practitioner programs allow students to dive deeper into the field of medicine in an effort to better understand treatment practices as well as pharmaceutical interventions. Acute care programs may focus more on the immediate need for diagnosis and treatment, while primary care may take in a wider range of normal to complex health isses that arise during childhood and adolescents. The need for structured educational programs for each discipline has allowed for the curriculum within each program to form to its own needs. When you decide on pursuing a degree within this field, it is important to determine which route you want to take prior to applying, so that you receive an adequate and relevant education for your path. Educational programs available online typically list their curriculum clearly on their respective websites. In order to give you a more information, our research professionals have stepped in to assist. Our team of education experts has researched some common online MSN-PNP programs to give you a better idea of the courses required throughout. Take a look at a few courses below this section. Health Promotion of Behavior Development: Beginning with prenatal development, this course examines how children grow and develop in relationship to families and societies. Information in this course pertains to the factors and relationships responsible for the formation of particular behaviors, which can play a role in the overall health of children and adolescents. APN – Pediatric Care: Students taking this course can learn the basic interventions associated with health promotion in children and adolescents. Some of the topics involved throughout the course include psychology, sociology, ethics, and pathophysiology. Advanced Health Assessment: This course helps students understand how to perform diagnostics using up to date and relevant techniques. Students may also learn how to properly analyze data received from diagnostics in a way that promotes effective treatment and follow-up. The law and ethics surrounding health assessments for infants, children, and adolescents may also be discussed throughout this course. Advanced Pharmacotherapeutics: While in this course, students can gain a better understanding of pharmocokinetics, which can present higher skills in the prescribing of pharmaceuticals. The difference in treatment for acute and chronic problems may also be discussed throughout this course, as well as the potential side effects, doses, and selection process involved in treatment. Current Issues in Advanced Pediatric Care: Students in this course can learn about the historical issues surrounding pediatric care and how they have shaped current theory and development. Students may be responsible for reviewing current studies and determining proper methods of solving complex issues in child health. This course also allows students to exhibit their skills in problem solving as well as group thinking. How much does a Pediatric Nurse Practitioner degree cost? The rising costs of tuition across the country can make going back to college seem a little out of reach. However, there are a large number of online degree programs for students that want to become pediatric nurse practitioners that offer affordable options. When you are searching for that perfect program, you should make it a point to examine colleges in comparison to one another. Some programs may have a slightly lower tuition rate, but charge more fees per semester. On the other hand, colleges that charge higher rates per credit hour may actually have lower fees. For example, Thomas Jefferson University has part-time MSN programs beginning at $1,129 per credit hour. The University of South Alabama offers a Pediatric Primary Care Nurse Practitioner program to students for $360 per credit hour for in-state students and $720 per credit hour for out-of-state students. It is important to weigh your options when searching for online degree programs, since they can have hidden fees associated with attending college out of state. Another important factor to consider when addressing the costs of online education are the fees that are charged either per credit hour, per course, per semester, or once throughout the entire program. General application fees tend to be charged only once per student, while other fees such a technology, course, material, and laboratory fees, may be charged for every course. Some colleges even charge fees for graduation, transcripts, or online courses. As you read in the introductory section of this guide, nurse practitioners have a wide range of salary expectations depending on where they work and the amount of experience they have. The average salary for registered nurses throughout the United States is $68,450 per year (BLS; 2015). Nurse practitioners have the potential to earn even more, with the national average being $100,910 for nurse practitioners in general (BLS; 2015). The difference in pay for obtaining this higher degree can be well worth the effort for busy nurses that are looking for more opportunity in their career field. There are also several factors that come into play when determining how close to the national average your pay will be once entering into the field as a practitioner. 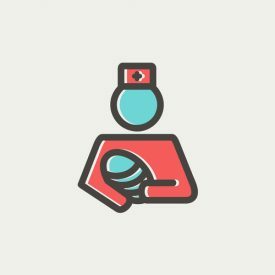 If you find a career working in hospitals or other busy health care centers, you may find that your salary varies significantly from professionals that work in private practice. The area of the United States in which you reside may also have a bearing on how much you earn. Statistically, you can earn more at this level of education compared to standard registered nurses. As a nurse practitioner in pediatrics, you can have more freedom to determine what type of work you want to do, the place you want to work, and the goal you want to have as a professional. Over the next decade, nurse practitioners should increase by a rate of 31%, which is a tremendous growth in comparison to other popular degree fields (BLS; 2015). Below this section, our experts have listed 2 of the most common jobs found under pediatric nurse practitioners. Both serve very specific roles in the field of medicine. Take a look at what each outcome consists of below. In degree programs that focus on primary care, students may be taught how to care for infants, children, and adolescents at various stages and situations within their lifetime. Courses within these programs can teach students how to properly analyze youth to determine their current level of wellness, provide information on how to screen children in response to symptoms, how to develop effective prevention and wellness programs for children within designated age groups, and proper methods for treatment and rehabilitation. While this program seems to encompass everything that is involved in the health of youth, there are still some topics that are covered by professionals within the acute realm. Certification after graduation should be obtained through the Pediatric Nursing Certification Board or through the American Nurses Credentialing Center. Acute care takes on a more fast-paced role for pediatric nurse practitioners. In degree programs focusing on acute care, students can learn how to respond in the event of a sudden illness, injury, or situation involving infants, children, and adolescents. While in this degree program, students can become more accustomed to the environment of specialty clinics, emergency rooms, and intensive care centers. A strong focus on emergency services may be provided throughout these programs, which can prepare nurse practitioners within this field to deal with a huge variety of circumstances. Once you have completed this degree program, you will need to be certified specifically for acute care practice through the Pediatric Nursing Certification Board. Before you even enter master’s level programs to become a pediatric nurse practitioner, you must be licensed registered nurse. Upon completion of your master’e program, you will then be responsible for obtaining certification within your field of specialty. Nurse practitioners that specialize in pediatrics can receive certification through the Pediatric Nursing Certification Board as well as the American Nurses Credentialing Center. When applying for certification through one of these agencies, you will be responsible for taking and passing a certification exam prior to being approved. At the time of application, you should submit proof of licensure as a registered nurse, transcripts and degrees from previously attended universities, and proof of work experience within the field of pediatrics. The field of nursing has always been a monumental piece of health and wellness. Nurses are found within all health care facilities and even businesses that want to best care for their employees. If you are currently a nurse, or just simply want to change to a career field that can provide more over time, MSN-PNP degree programs are an excellent way to set you sights on a productive and profitable future. In an online setting, these degree programs provide an equal quality of education as traditional education plans, some of which even being taught by the same professors. Added convenience and flexible scheduling can also add to the splendor of these programs, which were designed specifically for busy and hard-working people. When you get the urge to better yourself and your opportunities, take the time to research your opportunities. There is no better time than right now to pursue your dreams of becoming a pediatric nurse practitioner. See below for the list of all of the Pediatric Nurse Practitioner programs in our database.